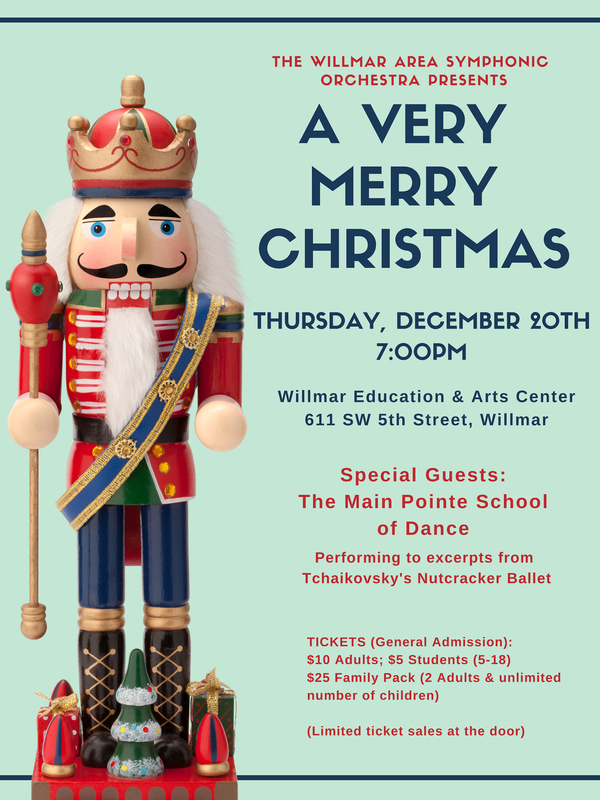 As some of you may know, Main Pointe was given a very exciting opportunity to collaborate with the Willmar Area Symphonic Orchestra for their Christmas concert! Main Pointe’s ballet dancers will be featured in their concert while dancing to some excerpts from Tchaikovsky’s Nutcracker Ballet. This is a very exciting opportunity for our dancers and our studio and we would LOVE if you could come and support us! Concert will be held on Thursday, December 20th at the WEAC in Willmar and will begin at 7:00pm. Please make sure to purchase your tickets prior to the performance as there will be very limited ticket sales at the door.